Tie down has a 5,000 lb breaking strength, and a 1,666 lb working load limit. 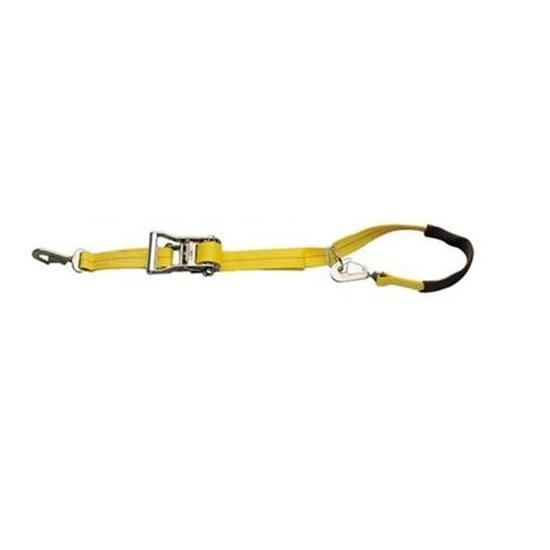 Individual ratchet tie downs feature a built-in axle strap. Makes trailering any vehicle quick and easy. Items are sold individually (each). Rated at breaking strength (lbs.) & working load limit (lbs. ).